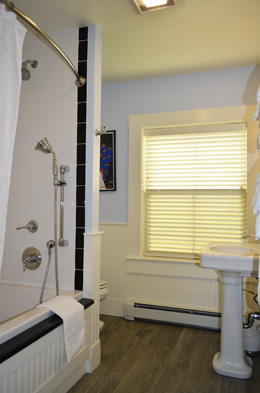 Room 5 is located on the second floor, on the front side of the house with two dormer windows. 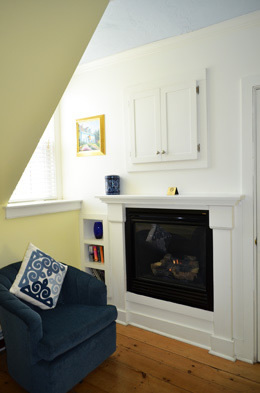 A charming and comfortable room with a fireplace done in pale yellow with blue and white accents. It has a queen-size bed, fireplace, and a newly renovated bathroom that features an air-jetted spa tub/shower combo and radiant floor heat.